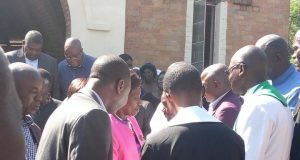 The Western Presbytery had its Full Presbytery Council from 6th to 8th October 2014 at Lilelelo UCZ Congregation in Mongu Consistory. 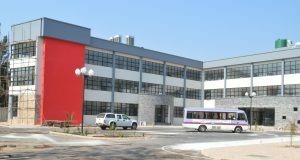 The church in this part of the nation is represented by 21 Consistories scattered along and across the Zambezi River and Zambezi Flood Plains. As usual the main business of the council was first, to evaluate the performance of the Presbytery in the year 2014; secondly, to plan for the Synod Executive Meeting and for the coming year 2015; to receive recommendations from Consistories; and finally, to usher in new Presbytery leaders, i.e. Bishop, Secretary and Treasurer. GS declares Rev. 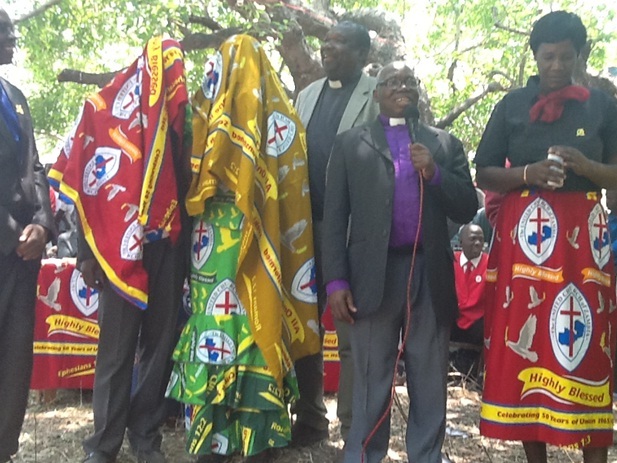 Lubinda Manyando duly elected Bishop. The day began on a wonderful note with a devotion offered by Rev. Manda from the Gospel of Luke 9:23. The title of the devotion was “Daily Cross Carrying”. The Presbytery council was then led into the elections of the Bishop and was chaired by the General Secretary Rev. Dr. Peggy Mulambya Kabonde. She was assisted by Rev. 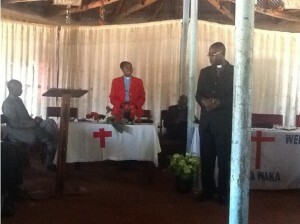 Bishop Chomba of Lusaka Presbytery, Rev. 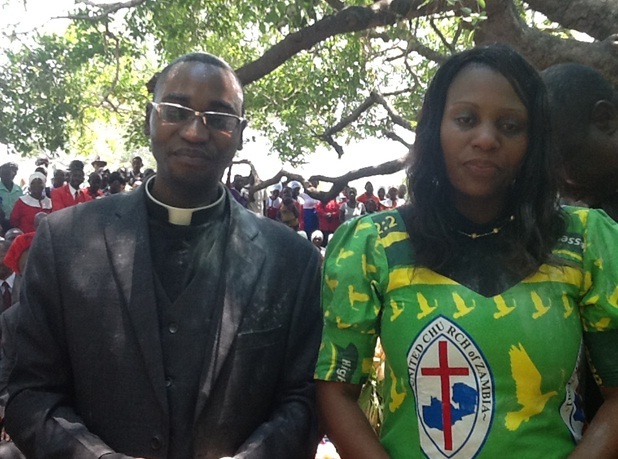 Bishop Mujumila of North Western Presbytery, and Mr. Boniface Mafwela the Projects’ Secretary at Synod office. 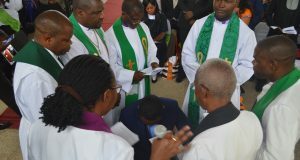 Upon introducing the “Elections Officers”, the GS proceeded in dissolving the incumbent Bishop’s position after a time of intercession was offered seeking the guidance of the Holy Spirit. Thereafter the two Bishops led the council in the procedures surrounding the election of the Presbytery Bishop as enshrined in the UCZ Consititution, Rules and Regulations, specifically as recorded on article number 15/B. The incumbent Bishop, Rev. Mubita Sipalo is one of a few Bishops that served for two terms of four years each in Western Presbytery. Earlier, Synod office had received nominations of the eligible candidates for the position of Presbytery Bishop through the Nominations Committee Convenor Rev. P. Mubita (retired). By the day of the elections, only one name (for Rev. Lubinda Manyando) was floated for the position. Circumstances surrounding this development were the untimely death of Rev. I.S. Kakoma (who served as Presbytery Secretary to the time of his death), and the withdraw from contesting by Rev. Jane Kaluba of Livingstone. With this state of affairs, the council was then subjected to a referendum type of election. After counting of the ballots, 43 voted for while 3 voted against. At exactly 10:23 hours the General Secretary declared Rev. Lubinda Manyando as Western Presbytery Bishop elect for the period 2015-2019. She then congratulated the Bishop elect and urged the church leaders to support him. “Sometimes these offices can lonely. We do need people around us to support what we are doing, and to encourage us,” said Rev. Dr. Kabonde. She later thanked the outgoing Rev. 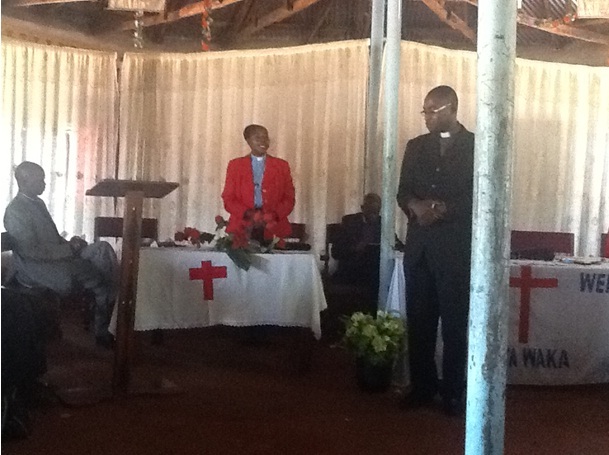 Bishop Sipalo for his contribution especially in uniting the Western Presbytery.